Pregnancy is a very intense and important time, for both you and your and baby. You both need to bring your best in order to make a successful pregnancy. "What role does a chiropractor play in MY pregnancy?" you ask. 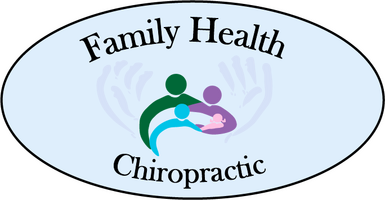 Well, as a chiropractor, we focus on you, the mother, rather than your baby. We make sure you are well so you can help your baby grow well. "What does space have to do with my baby?" Imagine your baby is growing inside a hot air balloon that is tethered on two top corners. If your pelvis is torqued (or, twisted one way or another), it is like the tethers twisting the hot air balloon. The twisting decreases the shape and size of the room your baby has to grow. If the area stays shrunken and the "torque" is uncorrected, the baby will try to get in a more comfortable position within the misshapen uterus, resulting in Transverse Lie. The "twisted air balloon" constraint can also lead to a curvature of the spine in the baby before it is born. Not a great way to start out life. We take care of you so you can properly care of your baby. You may not even realize that you are causing problems for your baby because everything "feels fine." Our job, our mission, our purpose is to empower our patients (of all ages) to live and grow the absolute best they have the ability to. No child should start its life in a struggle. It's just not right. If you have any questions, or want more information, please give us a call or fill out the form below. No hassle, no commitment, no judgement. We just want to help if we can.